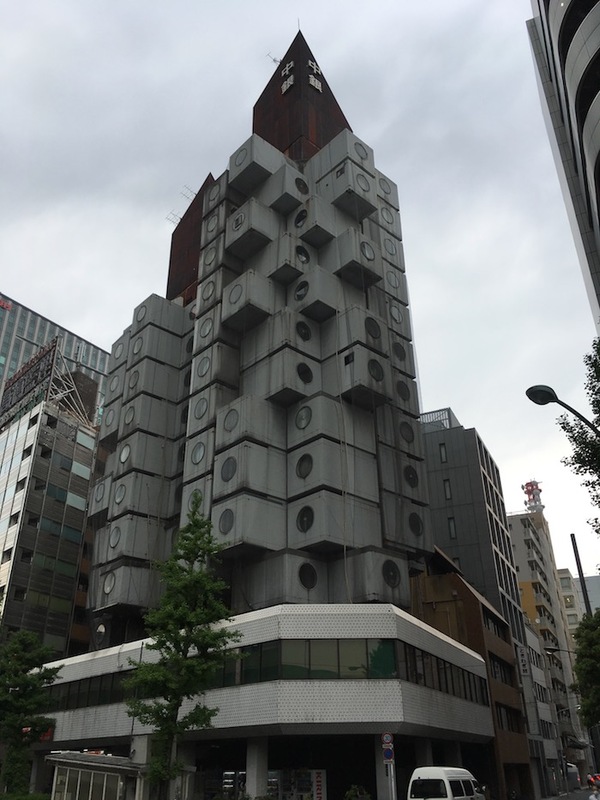 Located in Tokyo’s Shimbashi district, the Nakagin Capsule Tower is a testament to Japan’s 1970s vision of a future that never happened. 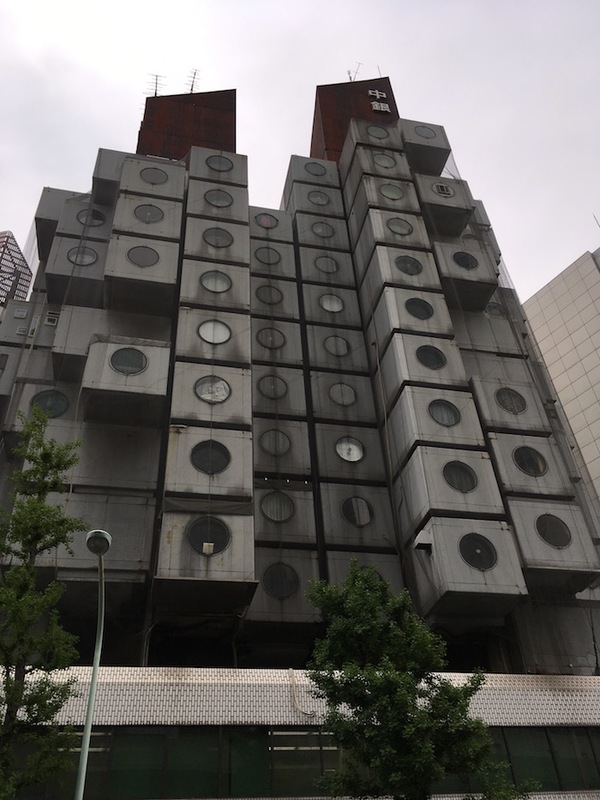 The building was designed by Kisho Kurokawa a pioneer of the Metabolist architectural movement, a design style that fused ideas about architectural megastructures with those of organic biological growth. The building consists of two concrete towers, 11 and 13 stories high, which serve as a support structure to 140 prefabricated removable capsules. Each capsule is one self-contained tiny apartment containing a bed, a fold-out desk and a bathroom, all squeezed into just 10 sq metres (107 sq feet). Capsules feature a large round window and are furnished with retro features such as clocks, sound systems, and and a bathroom the size of an airplane lavatory. The Metabolist idea was that as time passed capsules could be eventually replaced by newer models. The idea never quite took, and over the years the (quickly constructed) structure has fallen into disrepair, giving the location a post-apocalyptic appeal. Only 20 units are lived in full-time. Talk of demolition persists, so be sure to get in and film here while the location still exists. 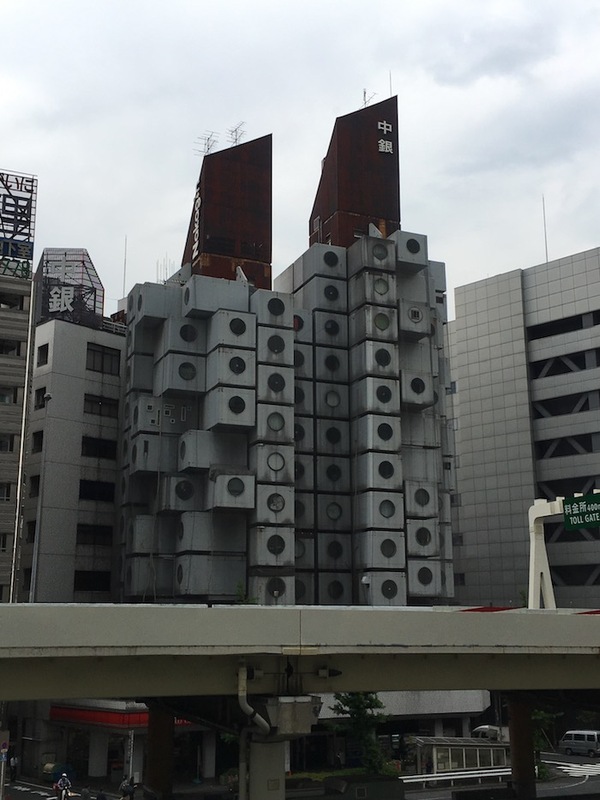 Nakagin Capsule Tower was featured in the 2013 superhero film The Wolverine. Other interesting Japanese Metabolist structures include The Yamanashi Press and Broadcaster Centre, Shizuoka Press and Broadcasting Tower, and Hillside Terrace Tōkyō. 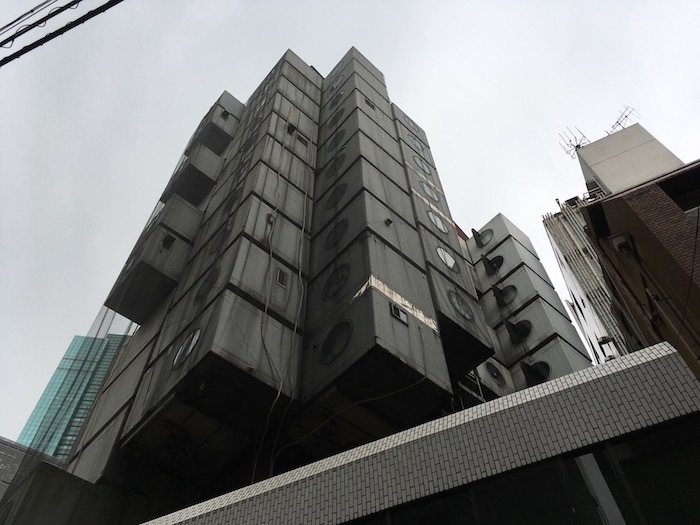 Contact us if you’re looking to hire a Tokyo based fixer or content producer to arrange a shoot at the Nakagin Capsule Tower. We are also able to recommend locally based shooting crew including directors, DoPs, videographers, cameramen, and stills photographers.